In 1994, Volkswagen unveiled the Concept 1, a show-car inspired by the original Beetle design. At that point, Volkswagen did not intend to manufacture the automobile. It generated an unforseen level of excitement and anticipation. After being swamped with requests, Volkswagen announced plans to produce a New Beetle. 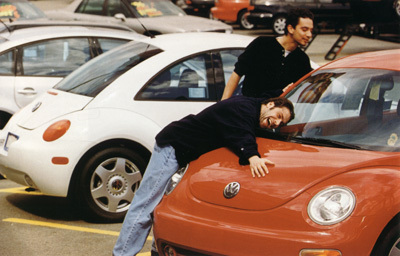 The New Beetle was introduced in the Americas 1998 and will be available in Europe in 1999. It is currently manufactured at Volkswagen's Mexico plant - the same plant that is the sole producer of the original Beetle for the South American market.